Hyderabad, India, December 26, 2018: India’s Most Attractive Brands Report 2018 (MAB 2018), in its fifth edition, has listed the country’s Most Attractive 1000 brands by consumer choices, based on TRA’s proprietary model of Brand Attractiveness. The study is an annual syndicated primary research conducted with 2500 consumer-influencers across 16 Indian cities. 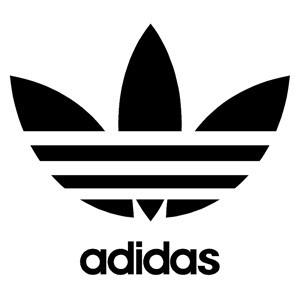 Consumers of Hyderabad have ranked Adidas as the Most Attractive brand in the city, ranked 33rd All-India. City’s 2nd choice is Aditya Birla Group (All-India rank 871st), and Ashok Leyland at 3rd (All-India rank 616th). TRA Research has been scientifically measuring Buying Propensity conducting syndicated research on its’ proprietary matrices of Brand Trust and Brand Attractiveness since 2010. In the All-India Most Attractive Brands list, Samsung mobiles took 1st place, followed by Tata Motors at 2nd and Apple iPhone at 3rd. “Marketers and advertising agencies do a disservice to the brand, the consumer and to the opportunity that resides in the brands by not looking at the city’s consumers with a different lens. The country is an ever-changing landscape of consumer preferences and desires – this has to be understood by brand custodians before spending a brand’s money in communicating to any individual city’s audiences”, Chandramouli added. Hyderabad consumers show a distinctively higher preference for some brands and the opposite for others. The brands which have gained the highest in this city-of-pearls are Deloitte (ranked 38th in the city, but 1095th All-India), Star India Health Insurance (ranked 142nd in Hyderabad, but 1127th All-India), Essar Oil (ranked 42nd in Hyderabad, but 1012th All-India), Zara (ranked 174th in Hyderabad, but 1134th All-India). 158 brands have risen in ranks in the city by an average of 328+ ranks. Brands which fall in Hyderabad’s affections are Honda (ranked 226h in Hyderabad, but 10th All-India), Sony TV (ranked 221st in Hyderabad, but 13th All-India), Airtel (ranked 232nd in Hyderabad, but 37th All-India), Reliance Jio (ranked 197th in the Hyderabad, but 4th All-India) and Vodafone-Idea (ranked 218th in the Hyderabad, but 29th All-India). This city wears its difference in its attitude. The other brands among the top ten Most Attractive brands in Hyderabad include, 4th ranked Allen Solly (ranked 107th All-India), 5th ranked Bajaj Allianz (ranked 676th All-India), 6th ranked Amaron (ranked 799th All-India), 7th ranked Amazon (ranked 47th All-India). These are followed by American Tourister at 8th, Amul ranked 9th and Andhra Bank ranked 10th. Only Men show preference for: Private Bank at 13%, PSU Life Insurance at 12%, Telugu Print News & Televisions at 10% each, and Consumer Electronics & Branded Fashion at 9% each. Only Women preference for: Diversified at 45%, Mobile Phones at 10%, Watches at 6% each and Cosmetics at 5% each. India’s Most Attractive Brands 2018, the fifth in the Report series, is the result of primary research based on the proprietary 36 Attributes of Attractiveness that have been studied and identified by TRA Research. This year’s research was conducted among 2,474 consumer-influencers across 16 cities and generated nearly 5 million data points and 5,000 unique brand mentions, out of which the top 1000 brands have been listed in this year’s Report. The 176-page, hardbound report is available for Rs.14,000/-. In the 2018 edition, Samsung leads the All-India list, followed by Tata Motors at 2nd, up from 181st rank last year. Apple iPhone is ranked 3rd this year All-India, with a rise from 92nd rank in 2017. Reliance Jio, ranks 4rd among India’s Most Attractive Brands and Maruti Suzuki is ranked the 5th Most Attractive brand in India, up two ranks over last year. The next five ranks among the top ten are Samsung (Consumer Electronics) at 6th, Dell (Laptops) at 7th, SBI (Bank – PSU) at 8th, Nike (Sportswear) at 9th and Honda (Four-Wheeler) at 10th. The 2018 report lists 286 Categories under 34 Super-Categories. The other Category leaders in this report are Levi’s (Casualwear), Biba (Ethnicwear-Women), Siyaram (Fabrics), Allen Solly (Formalwear), MRF (Tyres), ICICI Bank (Bank-Private), SBI (Bank-PSU), HSBC (Bank-Foreign), Visa (Credit /Debit card), Fastrack (Branded Fashion), Gucci (Luxury Fashion), Kenstar (Consumer Appliances), Samsung (Consumer Electronics), Symphony (Air Coolers), LG (Refrigerators), Samsung (Washing Machines), Philips (Lighting), Odonil (Air Fresheners), Himalaya (Baby Products), Nippo (Batteries), Coca-Cola (Aerated Beverages), Kit Kat (Chocolate Bar), Canon (Cameras), Patanjali (Ayurvedic Products), Moov (Pain Balm), Prestige (Cookware), Roca (Bath Fixtures/Sanitaryware), Taj Hotels (Hotels – Premium), Google (Internet Search), Amazon (Online Retail), Ola (Taxi Aggregation), ACC (Cement), Hero (Cycles), Nike (Sportswear), Titan (Watches), DLF (Real Estate), FBB (Fashion Retail), Nataraj (Writing Accessories), Dell (Laptops), Hewlett Packard (Personal Technology) and Jet Airways (Airline – Private). TRA Research, a Comniscient Group company, was conceived in 2008 and is a brand strategy and actionable brand insights company, dedicated to understanding and analyzing stakeholder Buying Propensity. Buying Propensity, made up of Brand Trust and Brand Attractiveness are the proprietary brand matrices of TRA. TRA conducts primary syndicated research with consumers and other stakeholders to assist business decisions and give brands insights improving their ‘keenness-to-buy. TRA provides Brand Intelligence Reports mined from its ’25 million data-points on brand intangibles of 20,000 brands collected over the years, and also undertakes custom-made studies for brands. TRA is the publisher of The Brand Trust Report, India's Most Attractive Brands and India’s Most Consumer Focused Brands.